No, this is not my new car. 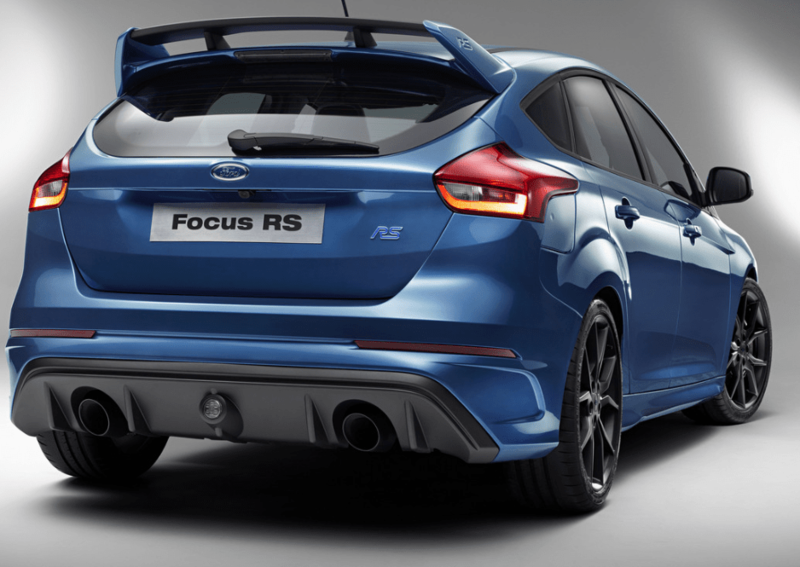 But Focus is a well-known member of the Ford Motor brand. Drivers know that if they point their steering wheel in the right direction, four wheels will turn and the car will head toward a specific destination. Focus is a Latinate word, which I don’t much like the sound of. It doesn’t have a pretty sound, like say, filigree or dulcé. But it does the job of describing my intention to complete my memoir writing this year. In a way, “focus” complements last year’s choice, Wholehearted, a word which suggests passion and energy, all of which help fuel focus and concentration. I am no longer young, but this lovely little girl is, pictured in one of Grandma Longenecker’s antique postcards (1912). Her body pulses with life and energy, just like this new year, my tabula rasa – a blank slate on which to write a fresh new story. I recently learned the word “entelechy” from reading The Dance of the Dissident Daughter by Sue Monk Kidd. As I understand it, it’s the force that drives things to become what they were meant to be, the spirit that makes the acorn into the oak–or, more relevantly to my case, a tiny handful of seeds into a welter of burdock. May you be all you can be in the new year, my friend! You are the beating heart <3 of this blog, responding as you do by reading and commenting here. For this I am deeply grateful – thank you! Focus and presence – two gifts we can give ourselves and others! I like how these words complement each another, one paying attention to what\’s within; the other looking outward. Thanks for being the first responder here today, Fiona. And happy new year to you and your family. The Happiest of New Years to you Marian. You are always so generous, Sir David, commenting and tweeting too. 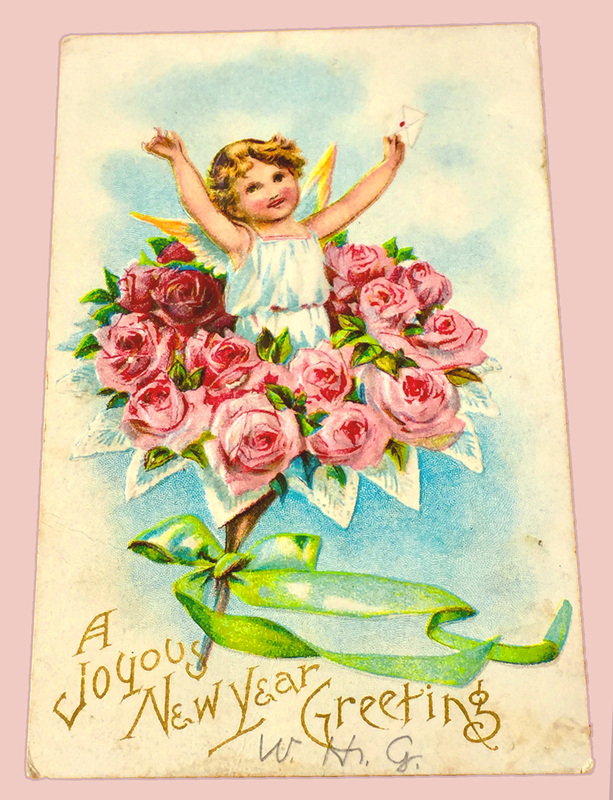 Blessings today and all year long – huge hugs too! Woot woot: that\’s putting it out there–\”my intention to complete my memoir\”! It leaves you some wiggle room but will keep you chugging. You can do it: no more moves to interrupt the year, I hope. 🙂 Blessings with this renewed focus. Thank you, Melodie. Completing my memoir doesn\’t mean publishing and marketing, \”beasts\” of a different sort. But as you say, it will keep me chugging. No, there\’s won\’t being a move this year, but I expect other interruptions which I hope to take in stride. We have to reach for the stars; even if we don\’t quite get there, at least we will get off the ground, rising. You do that, Melodie, juggling many writing assignments while paying attention to your growing family. Brava! Good morning! I like that focus can be a noun, as you mention in the definition you gave, or a verb, as in to give your attention to something. I think you will be focusing on your memoir, and your memoir will be the focus of your year. 🙂 Thank you for the word entelechy. Thank you even more for your friendship and for sharing your world through your blog. Happy New Year to you and your family! When we met, you were researcher/historian, writer of encyclopedias. Now you are blossoming also as a poet. I too feel blessed with your gift of friendship: what a treat to meet you in Chincoteague last year. You truly embody entelechy, Merril. Thank you for your comments and tweets each week. Your poem today (a quadrille of 44 words) evoked the word aspiration, part of \”focus\” I think. I am still working on an encyclopedia and a book of articles, but poetry is so much more fun! I hope we will be able to get together again. Focus was my one word a couple of years ago, Marian. It definitely served me well. I plan to share my word in a post later this month. 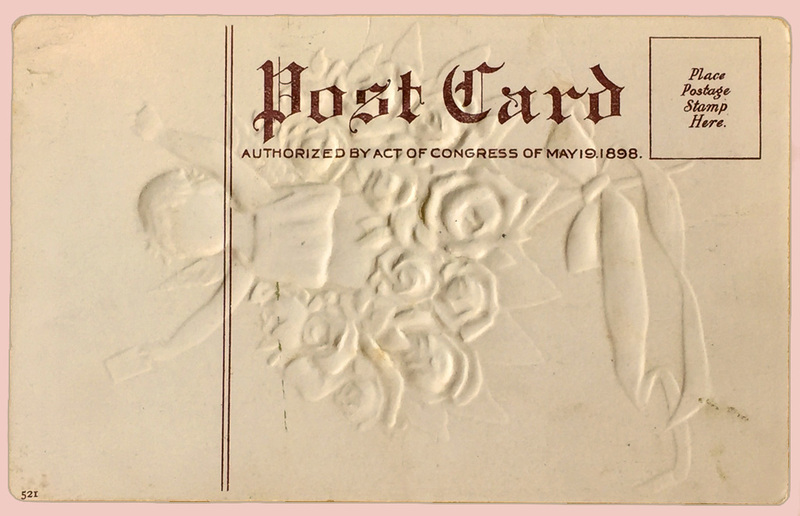 I love the antique postcard! There\’s no stopping you, Jill, with your book already slated for publication this year. Now I\’ll think of \”focus\” as a token of good luck, knowing the energy it inspired in your writing. Thank you! It\’s a great word. I have no doubt it will keep you grounded in the upcoming year. Thank you for your support and encouragement…I appreciate you. Right, Fatima. And I think our focus changes and grows, just as we do. One of our jobs as mentors, I think, is helping point the younger ones (grandchildren, in my case) in the the right direction. I\’m glad you enjoyed the postcard. Victorians weren\’t afraid to \”post\” their wishes and dreams. Happy new year to you too! Here\’s to you, Marian, and to your FOCUS in 2017. I am sure you will reach your goal, and I am even more sure that the final product of your long, careful, joyful journey will resonate with the gifts you have already given others by creating and maintaining this blog. You have built a world-wide community, and you keep track of every member. Thanks for the word \”entelechy\” also. A great one for my focus on vocation. See? A gift! I admire all the ways your journey from blog –> book –> to the new focus on vocation has taken you. Jubilacion so well describes your earth walk as both pilgrim and partner to many who follow alongside. Happy new year! What a great word for the new year focus and perseverance is one for me. Even through the heart break we see a light at the end of the tunnel. Found new location waiting to hear from Dept of health and city to know if it\’s a go. This is a place down the street that was a restaurant. Lot more expensive. Just when we were so close to opening debt free. We shall see. Great beginnings. Love the post cards. I have followed you with good thoughts and prayers as you have struggled through this upset. You are among a community of well wishers here, believe me! In hindsight, you may think this new plan is the best thing that could happen. Yes, to great beginnings, Gloria! My Grandma Longenecker lived until 1980, so you may have met her. I had no idea she had all of these postcards stashed away. I\’m so happy to share them here where they are enjoying a second life! Thank you. Yes I do remember grandma Longenecker. She and aunt Ruthie and phone (I\’m sure spelling her name wrong) lived in the house that Mark is in now. You\’re right. Phuong still visits Aunt Ruthie every so often. Thanks for remembering. Focus is a good word to focus on! I for one believe you will complete your memoir this year. Now that you have completed your move, you can concentrate on the writing. wishing all good things for you and your family in 2017!! Goals setters and published authors like you continue to spur me on. I doubt I would have the heart to push ahead without my cheering section here, especially since I don\’t have a publisher behind me. I look forward to the release of Amanda in New Mexico this year. Yay! I have a tight deadline so I hope I make it!! Revising as we speak. Marian — I can picture you in my mind\’s eye as you laser focus, Focus, FOCUS, with fingers flying across the keyboard to complete your manuscript. I know that you can and will do it! Thank you for sharing \”Entelechy.\” I like it. A lot! As a fellow wordsmith, I know you appreciate words – their sounds and meanings. The Ford Focus photo has an RS printed on the license place. I think I\’ll interpret these letters to represent Reboot & Soar, for both of us! Marian — I like the way you think! FOCUS is a perfect word for those of us with big writing projects on our desk–in search of those last few chapters, a great agent and hopefully, a publisher. I\’m with you, Marian, and hope both you and I will reach our memoir goals soon. 💕😍. Warm wishes to you and yours for a terrific year. Happy New Year, Patricia. Grandchildren, visitors unexpected and unexpected, and illness all prove fodder for journaling and blog posts. Still, we will make progress on our books this year. I\’m in your cheering section! Thanks Marian and I am in your cheering section! Happy New Year, Marian. Your word focus is a good one and I know will help you get your book done. I love that word, entelechy. It fits perfectly with focus and has the power to bring energy to getting things that are meant to be, done! Onward and Happy New Year! I grabbed onto that \”getting things that are meant to be done.\” Today I am trying to export my blog addresses into a .csv file and have been hitting road-blocks along the path to update my website. Remember those days? Fortunately, my window washer came today and gave me a clear view. Thank God for small miracles. Happily, you can take a pause and long breaths in your restorative yoga class. Here\’s also to more book sales in 2017. Yes, they improve vision, something I plan to blog about soon! Focus is a perfect word, Marian and publically stating your goal of completing your memoir this year leaves no doubt in my mind that you WILL. And thank you for your word gift, \”entelechy\” which supports your goal to focus. Yes! May you be all you can be this year. Blessings , my friend. Marian, looks like you and I are FOCUSING on the same thing this year. I too want to write my memoir. I\’m taking one day in February to attend a memoir writing workshop and then I will begin in earnest. This is the year! I read Sue Monk Kidd\’s book years ago, but I do not remember reading the word entelechy. Now I know it, thanks to the clever blogger who pointed it out to me. I will make it a reality in my life! I\’m a fan of Sue Monk Kidd, but I don\’t remember reading the word entelechy either, all the more reason to make it stick in my mind now. All the best in 2017, Elfrieda! You define focus so well! I think I have a handle on the csv files, doing a work-around. Mac and PC operating systems don\’t always mesh. Still, there is a way to get the transfer accomplished. Best wishes for a fruitful new year, Susan! A good word to choose for the year and I wish you luck with the completion of your project. We\’ll both keep walking and writing in the new year, I have no doubt. I also don\’t doubt that the miles on your pedometer will far exceed mine. Maybe you have the latest gadget, aFitBit, which some of my family members received for Christmas this year. All the best in 2017, Marie. Thanks for sharing the word entelechy–I hope your readers enjoy learning it as much as I did! I look forward to reading many more of your excellent and thought-provoking posts in 2017. I wish you a slightly belated but genuinely heartfelt \”Happy New Year\”! New Year\’s wishes are still circulating, so you\’re not to late! My readers/commenters, like you, are sponges when it comes to learning new words. I enjoy Sue Monk Kidd but haven\’t read her latest books. Entelechy is a fabulous word, so fitting to reflect on this time of year. All good wishes to you and your family, especially Sage, whose escapades live on in your blog. Happy reading in 2017, Rebecca! Already some obstacles have appeared on my path, but I\’ll push through them just as I\’ve seen you do. More power to us all 😜 ! Best wishes with your memoir writing. I look forward to reading the completed project. And Entelechy! A gift, indeed. Yes, Lucinda, we are on parallel tracks, but I have a feeling you will get to the station before I do as you have a publishing contract in hand. More power to you – to us both! Either way, we are achieving a measure of that magical entelechy. Thank you! Focus is a powerful a powerful word ( as for the car 🚗 we owned a focus for ten years and loved it, just thought I\’d throw that in for good measure) but I have never heard of \’Entelechy \’ I\’m just scrolling up because I\’m not sure I\’ve even spelt it right . I never read everyone \’s entries until after I\’ve written mine because I don\’t want to be influenced by what others say, so I have no idea if you have enlightened us with the meaning . However I adore Sue Monk Kid\’s books and I presume this is a new one ? must get it . You spelled it perfectly. And the meaning, being all you can be, describes you to a tee. At least you are striving toward that, Cherry. So am I! I had to look back to Laurie\’s word: Sankalpa. a Sanskrit work meaning determination toward a goal. I think the way I can remember it is that my Mum and Grandma drank a coffee-like beverage called Sanka. It didn\’t have much caffeine in it and I got the impression it didn\’t taste very good either. Thanks for always making a smile and sometimes giving me a belly laugh too – ha ha ha! You light up my life – so, so funny 😂, Cherry! Focus is a wonderful word, Marian, and a terrific goal. I flunked Focus 101 this year, so have to enroll again. Except my word (now that I think about it) must be Flexibility. I\’ll also add Curiosity. Change is in the works as my son and his love will move from CA to the Finger Lakes. We have a wide-ranging long-term plan of sharing this land, but we have the luxury of one step at a time. Step one is their move and arrival in April–approximately. See why flexibility is my word? I\’m writing about our adventures because, as you can imagine, this stirs up all sorts of hopes and fears. This adventure might deserve more than a blog or two–but we shall see how it unfolds. Ya never know…. I am thrilled to read about Liz and Dave\’s anticipated move to the East – and to Finger Lakes even. How wonderful to inject the adventures of a younger generation into your narrative. My wish for you this year: Hope overwhelms fear. Both my kids lived in Chicago for about ten years amid dogs and kitties. When they moved to Florida the animals \”morphed\” into grandchildren. Ya never know . . . . I will carry Flexibility and Curiosity in a pocket along with Focus. Your news is cheering. Thank you! Liz and David are firmly planted in NC. Anthony, my younger son who has lived in San Francisco for 16 years, and his love Jenna are moving here. Anthony has said he wanted to live on this land since he was a little guy and he worked long hours with Vic creating trails. He\’s the one who creates the stone cairns and walls in the forest. Jenna was brought up in a place that makes our winters look easy. She loves gardening, dogs, and being in the country. She\’s been here three times so has some taste. I\’ve mentioned her in blogs, but not said much or shared many photos, although they don\’t mind. I need possibilities to settle into realities before writing about it publicly. There are many fantasies and imaginings on everyone\’s part–and yes, we never know. Stay tuned. How exciting! Anticipation even with restraint is always part of the pleasure. Focus. That\’s what I intend to do this year. Today is my husband\’s 81st birthday. I\’m feeling like I need to focus a little more on him this year and hopefully in the future! We don\’t know where the eighties came from but while we still have our health we\’re going to focus on life! In fact, an upcoming trip to Ireland is in our very near future! 🙂 Thanks, Marian, for the reminder to focus! How blessed you both are to be healthy in your 80s, such an accomplishment. And a trip to Ireland – pure pleasure! We have some health concerns to take care of at the moment, but come summer we want to take a trip to someplace cool in August for our 50th wedding anniversary. Happy New Year, Anita. So happy to hear from you! I’m glad I found you – or that you visited my blog earlier. “And give me an uncluttered and focused heart” so that I can obey what you command … and carry through the plan you have for me. Borrowed and adapted from David’s prayer for his son Solomon. Literary and lover of the Word, Lisa! Thank you for the comment and for following me here. Let’s hope we can both move past the distractions that surely beset us and FOCUS, “pressing toward the mark . . . ! Thank you for following my blog this week. I appreciate your sharing this positive idea with your family. It is good you are blessed with three grandchildren who have you as a role model, Diptendu.